Typical delivery is 1 – 20 working days but we do aim to deliver a bit quicker. Once you have placed your order you will be contact by our delivery team to confirm your delivery date. If you have not been contacted by our delivery team within 10 working days after you have placed your order please email us or call us and we will chase this for you. Delivery is between the hours of 7am – 7pm Mon-Sun. It is possible to request a call an hour prior to delivery but this is subject to the driver having a mobile and cannot be a guaranteed service. Please note this is not possible for Metal sheds where the product is shipped with a courier. Please note for sheds, summerhouses, playhouses, fencing and log cabins we will always contact you by phone or by email to confirm a delivery date – we will not just turn up unannounced – if you do not have a confirmed delivery date please email us or call us. We are unable to specify a delivery time during the day of delivery. Our couriers and deliver team - deliver between the hours of 7am – 7pm. Routes are planned the night before delivery so on most products we will be able to give you a drop number on the day of delivery. 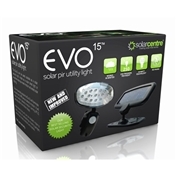 All products with installation will revert to our standard 14 working days delivery. You will be contacted to book in an install day. Product delivery and installation will take place on the same day. It is your responsibility to check that all the parts are present and correct, so that in the unlikely event that parts may be missing, incorrect, or damaged, you can ensure we have reasonable time to supply replacements (We aim to typically replace parts within seven days assuming replacement parts are in stock, however if we have to manufacture parts this time frame may be longer). Should you use a third party to carry out the installation please ensure that you give them sufficient time to familiarise themselves with the material and instructions supplied, that all the parts are present and that you have actually received the goods before committing to an installation date.